Ignore it and put our head in the sand? Curse and rant about it? Worry and fret until we make our selves sick? 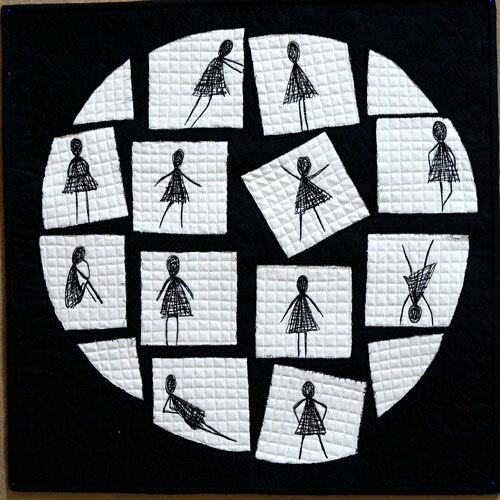 This piece was designed from a simple exercise of cutting a circle into 16 pieces and playing with the parts while keeping the integrity of the circle. The white is meant to represent the negative space in this instance. 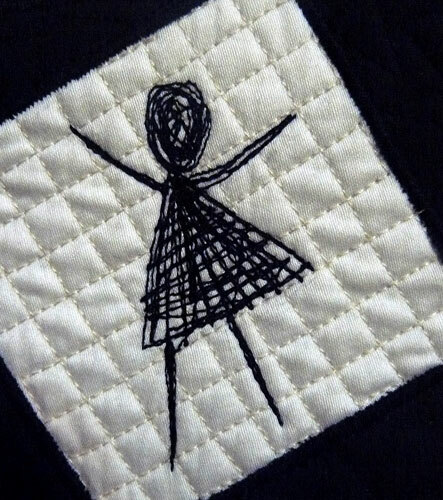 Windows were cut out of the black fabric and then fused over the white background. 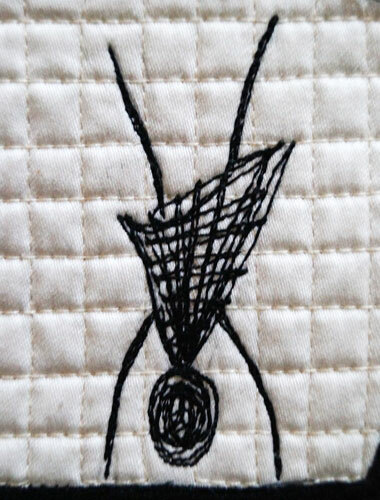 The figures were quilted with a free motion foot through the three layers with heavy black 40 black thread.